We pride ourselves on our work helping whistleblowers bring claims pursuant to the False Claims Act. As a False Claims Act law firm, we have specialized knowledge of this complex piece of legislation that empowers individuals to bring fraud claims on behalf of the government. A ruling from a federal district court released in late Spring in a case alleging Medicare fraud looks at one of the many important details that come up in these cases. More specifically, the case looks at what constitutes a “usual and customary” price for purposes of determining whether a provider is complying with the law and offering Medicare beneficiaries an appropriate price on prescription drugs. In doing so, the court highlights one important requirement that is often subverted by perpetrators of fraud and also provides a reminder of how complex False Claims Act cases can be. On May 27, 2006, the Seventh Circuit Court of Appeals released an important ruling in United States ex rel. Garbe v. Kmart Corporation, a False Claims Act case brought by James Garbe on behalf of the United States against Kmart. According to the complaint, Garbe, a pharmacist at Kmart, noticed that another pharmacy charged his Medicare Part D insurer substantially less that Kmart typically charged insurers for the same prescription. He investigated and found that Kmart routinely charged customers paying out of pocket less than it charged those paying with insurance (public or private). He also found that most cash customers took part in Kmart’s “discount programs” and that this discount price was not included when Kmart calculated its “usual and customary” prices on generic medications for purposes of Medicare reimbursement. A lower court asked the Court of Appeals to examine several issues, including the application of Medicare pricing rules. Under Medicare D rules, pharmacies must report the “usual and customary” prices on prescriptions and cannot charge a higher rate to Medicare D beneficiaries. 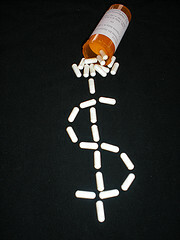 Generally, the “usual and customary” price is the “cash price offered to the general public.” As the court explains, this is intended to ensure the government does not overpay for prescriptions and that Medicare Part D customers receive the benefit of deals offered to cash purchasers. The courts, like the legislature, are serious about ensuring that Medicare receives a fair price on prescription drugs. This can likely be extended to include pricing on medical products and medical services. Systemically trying to subvert these rules can amount to fraud. Taken together, these two rules amount to one overarching principle: We need honest witnesses to report Medicare fraud and attorneys who understand the law (both False Claims Act law and the underlying laws like those that govern Medicare reimbursements). If you have witnessed Medicare/Medicaid fraud, or even simply suspect that you have, please contact our experienced health care fraud law firm. Together, we can work to use the law to bring an end to fraud on the government. Remember: Medicare fraud and other forms of fraud on the government amount to stealing money from the wallets of every taxpaying American and also diverts money from important ends, such as the care and well-being of our senior citizens. With the False Claims Act, one person CAN make a difference. Reach out, speak up, and help end fraud. We can help.